Big Green Egg painstakingly sources our natural charcoal to ensure that it contains no fillers, nitrates, chemicals, anthracite coal, limestone, treated wood or petroleum products. 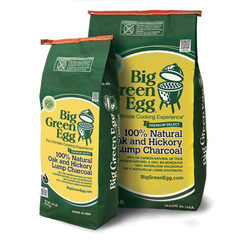 Unlike some of the other charcoals and briquettes on the market today, pure and natural Big Green Egg charcoal is premium carbonized wood with NO additives whatsoever. This ultimate grilling glove is made with durable heat-resistant fibers and features a soft cotton lining and a silicone textured surface for easy grip. Withstands extreme heat up to 475°F/246°C for maximum protection and comfort. 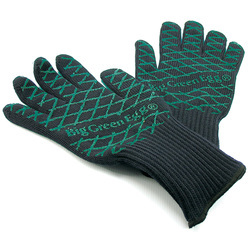 The Big Green Egg Pit Mitt design is extra long to protect wrist and lower arm. Reversible for either hand. 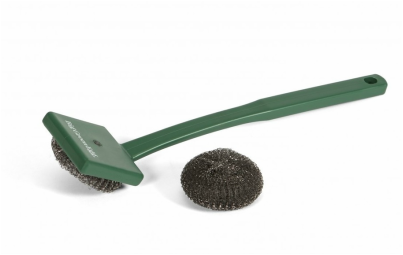 Easy and fast — patented stainless steel mesh outperforms wire brushes, with no bristles to come loose. Extra long handle keeps heat at a distance. Includes one stainless steel replacement scrubber pad. Our popular Natural Charcoal Starters come in boxes of 24 convenient squares. They light easily and are odorless and tasteless, with no chemical aromas or residue. Plus, they’re clean, safe and ready to use without the need for any lighter fluid – saving you money and providing a much better result! Wood smoking chips add a variety of delicious flavors to foods cooked over the coals. Each type of wood will impart a different flavor to meats or other foods, resulting in an endless variety of new flavor combinations. 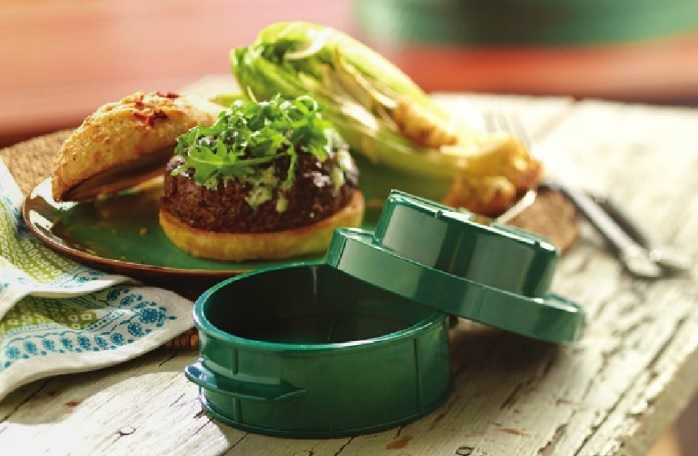 Spice up your menu with mouth-watering Big Green Egg Dizzy Gourmet Seasonings. They’re made from scratch, with exotic spices, fresh herbs, low sodium, no preservatives and nothing artificial. Sweet and spicy flavors. Easily prepare burgers with added ingredients on the inside and add a gourmet touch to your next cookout! Stuff burgers with everyone’s favorite ingredients — bleu cheese and sliced prosciutto, tomato and mozzarella, bacon and cheddar cheese — the combinations are endless!